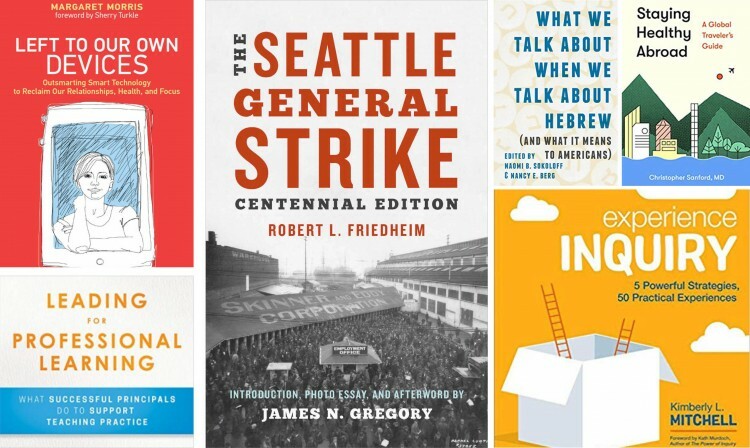 Recent notable books by University of Washington faculty members explore the importance of Hebrew to modern America, remember the 1919 Seattle General Strike and look at issues in education, among other topics. “Staying Healthy Abroad: A Global Traveler’s Guide” was published in December by University of Washington Press. Sanford is an associate professor of family medicine and global health with the UW School of Medicine. In the book, Sanford gives common-sense advice on how to prevent communicable diseases and mosquito-borne illnesses, travelers’ diarrhea and other maladies, and how to evaluate post-trip symptoms. He focuses on ailments and injuries that travelers are most likely to encounter, noting that “if something occurs less frequently than one-in-a-million, it probably isn’t going to happen to you.” The work also covers concerns unique to women, men, children, LGBTQ individuals and travelers with chronic illnesses. To learn more, contact Sanford at casanfo@uw.edu. Naomi Sokoloff, UW professor of Hebrew and comparative literature, has edited a volume of scholars, writers and translators discussing the changing status of Hebrew in the United States. “What We Talk About When We Talk About Hebrew (and What It Means to Americans),” edited by Sokoloff with Nancy Berg of Washington University, was published in late summer by UW Press. The volume features essays “that give fellow Americans a glimpse into the richness of an exceptional language.” Contributors include Hannah Pressman, a former staff member with the UW’s Stroum Center for Jewish Studies; and the late Alan Mintz, who was a professor at the Jewish Theological Seminary and author of “Popular Culture and the Shaping of Holocaust Memory in America,” published by UW Press in 2011. Sokoloff is the co-editor (with UW history professor Susan Glenn) of “Boundaries of Jewish Identity,” published in 2010 by UW Press, and author of “Imagining the Child in Modern Jewish Fiction,” published by Johns Hopkins University Press in 1992. 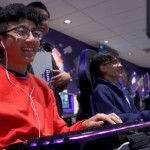 For more information, contact Sokoloff at 206-543-7145 or naosok@uw.edu. How can principals better support and encourage professional development among teachers? A new book written by faculty members in the UW Center for Educational Leadership provides practical tools and guidance. “Leading for Professional Learning: What Successful Principals do to Support Teaching Practice” was published in October by Wiley/Jossey-Bass. The book was written by Anneke Markholt, Joanna Michelson and Stephen Fink. Markholt is the educational leadership center’s associate director and Michelson is its director of teacher leadership and learning. Fink, a UW affiliate professor of education, is the center’s founder and was executive director from 2001 until 2018. All are affiliated with the UW College of Education. “Leadership is crucial to professional learning, providing the necessary systems and structures that enable teachers to improve their own practice and in turn, improve student learning,” say publisher’s notes for the book. Because each school has different strengths and needs, the book shows school and district leaders ways to create support plans tailored to their own context. Listen to an interview with the authors at Principal Center Radio. To learn more, contact Markholt at 206-221-6881 or markholt@uw.edu; or Michelson at 206-715-2833 or jlm32@uw.edu. Morris is an affiliate faculty member in the UW’s Department of Human Centered Design & Engineering as well as a psychologist and app creator. 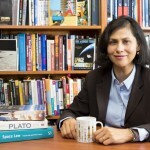 Her book was published in December by MIT Press. To learn more, contact Morris at margiemm@uw.edu. “One part practical guide, one part interactive journal, this book provides the opportunity to do inquiry as you read about it,” publishers notes state. Readers can see what inquiry-based instruction looks like in practice through five key strategies that can be implemented in any learning environment. “Experience Inquiry” was published in September by Sage as part of its Corwin Teaching Essentials series. Mitchell is also founder of Inquiry Partners, a professional learning organization dedicated to promoting inquiry-based teaching strategies. UW history professor James Gregory wrote a new introduction and afterword — and contributed a photo essay — to the November republication by UW Press of Robert L. Friedheim’s popular 1964 book, “The Seattle General Strike.” UW Tacoma historian Michael Honey praised the republication, saying the account of the 1919 work stoppage “takes us back to when labor solidarity seemed to make all things possible.” Learn more about UW participation in marking the centennial of the strike. “Seawomen of Iceland” by Margaret Willson has been published in paperback by UW Press. Willson is a UW affiliate professor of anthropology and a faculty member in the Canadian Studies Center. The book was first published, by UW Press, in April 2016. “Urbanism Without Effort: Reconnecting with First Principles of the City” by Charles R. Wolfe, published as an e-book in 2013, has been updated and brought out in paperback by Island Press. Wolfe is an affiliate associate professor of urban design and planning in the UW College of Built Environments, where he teaches land use law at the graduate level.